The City of Melbourne has brought together 14 of Melbourne's most iconic institutions to build a new renewable energy plant in regional Victoria. It is the first time a group power purchase arrangement has been used in Australia to fund long-term renewable energy development. 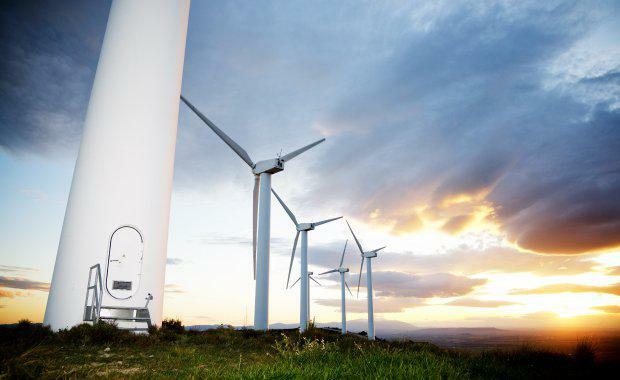 The project involves the development of a massive 39-turbine 80 megawatt capacity wind farm twenty kilometres north-east of Ararat, in western Victoria. The project group, led by the City of Melbourne, includes the University of Melbourne, RMIT, City of Port Phillip, City of Yarra, Moreland City Council, National Australia Bank, Australia Post and NEXTDC -- amongst others -- have banded together to underwrite the development of the Melbourne Renewable Energy Project. The group has reportedly signed a 10 year deal with preferred supplier Pacific Hydro to purchase 88 gigawatt hours of energy, which is the equivalent to powering more than 17,000 households in Melbourne for a year. “This will abate more than 96,000 tonnes of greenhouse gas emissions from entering the atmosphere each year. That’s as much as taking more than 22,000 cars off the road,” Deputy Lord Mayor Arron Wood said. The project at the wind-rich agricultural community, 205 kilometres from Melbourne, was first proposed in 2007. Currently only 17 per cent of Victoria’s electricity is derived from renewable energy. “This project is a great example of what can be achieved when businesses and government join forces and work together on a long-term vision. We have a commitment to provide customers with $55 billion of environmental financing, and source 50 per cent of our Australian energy from renewable sources, by 2025." NAB chief customer officer Mike Baird said. The Melbourne Renewable Energy Project Replication Model information can be found here.